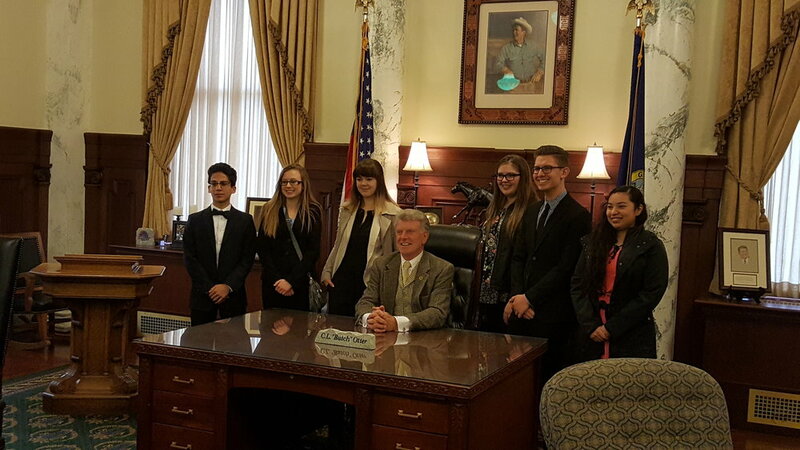 The Idaho State Youth of the Year took place last week in Boise. This years representative from the Kootenai County Club was Hope Newman. Hope traveled to Boise with Branch Director Tirtza Dibble, Executive Director Ryan Davis and Special Event/Government Relation Vista Garran Wilson. The festivities started off with breakfast at Goldy’s followed by a visit to the Senate to spend time in the gallery to listen to bills ranging from personalized licenses plates to background checks for massage therapy. Next was lunch with Senator Bob Nonini in the House Cafeteria that included conversation with Governor Otter and many of North Idaho’s Representatives and Senators. The afternoon included time with the Governor in his office and a scavenger hunt through the Capital to gain a better understanding of history, policy, meet some new people and have a lot of fun. The evening concluded with games and bowling at Big Al’s and a chance to get to meet the other Youth of The Year candidates from around the state. Thursday was the big day, the competition day. An early start at the Grove Hotel for Breakfast quickly followed by a trip to the 14th floor of the Zion Bank building. By far the best view of Boise anywhere downtown. Competitors of the Youth of The Year were chosen and interviews and speeches started. 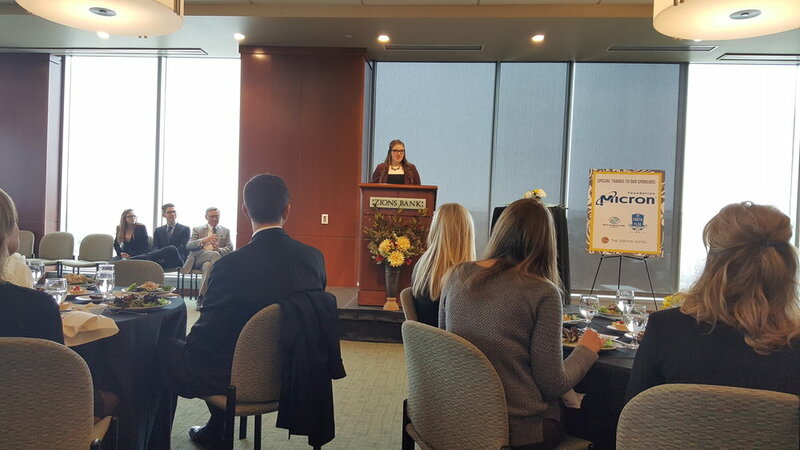 It was a long morning full of a wide array of emotions only to culminate with a lunch at the top of the city where youth once again gave their speeches to a room full of state leaders and influential people. When it came time to crown a winner at the state level, it was with great sadness that Hope did not come out on top. However, we could not have been more proud of Hope and there could not have been better representation of Kootenai County at the event. Hope was poised, professional and made a huge impact on the judges, leaders and her fellow Youth of the Year competitors. In addition to life long memories Hope walked away with $1,500.00 in scholarships making her total scholarship earrings $2,000.00 We are so glad to have Hope as our Youth and we are so excited to see what a difference she will make at Grand Canyon University and beyond.